The primary goal of the Department of Theatre, Dance & Film of Providence College is the development of theatre artists. It provides knowledge of and experience in the discipline of theatre, offering a foundation necessary for graduate study and continued professional development. By developing theatre artists, the department directly enriches the life of the College through a program of public performances. In keeping with the liberal arts foundation, the Department of Theatre, Dance & Film is committed to providing its students with a thorough background in theatre history, theory, criticism, and literature. This approach arises from the belief that, in addition to developing proficiency in a variety of theatre crafts and performance techniques, the young theatre artist must understand theatre as an art which exists in a historical, political, spiritual, and economic context. The Department offers a major and minor in Theatre, a minor in dance, a minor in film, as well as courses for the general student population. We are excited about the Musical Theatre Track within the Department of Theatre, Dance & Film! 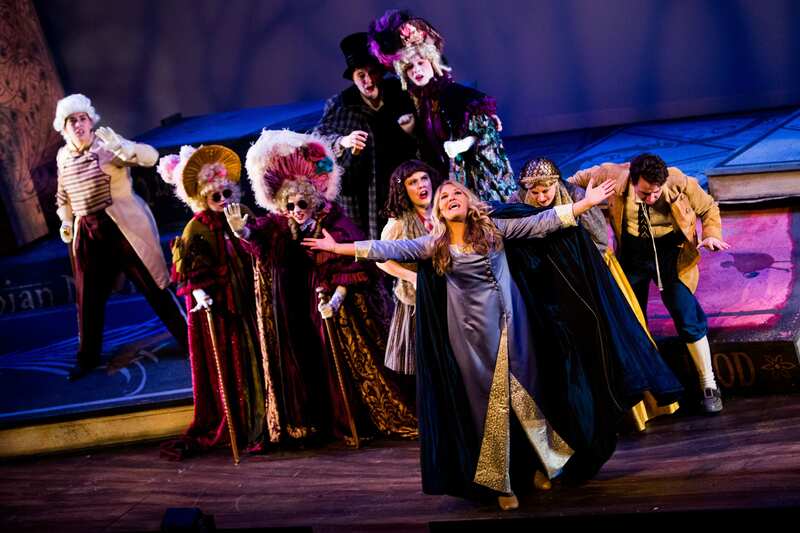 The Musical Theatre Concentration at Providence College aims to develop the student’s talent and ability with the goal of helping the students discover their own unique abilities in musical theatre. A successful professional in musical theatre must possess skills in acting, voice, music and dance, and be able to integrate these skills with ease, expressiveness and versatility. As such, this concentration requires coursework in music, acting and dance combined with many performance opportunities, In order to concentrate in Musical Theatre, students must elect either a music or theatre major. This assures that they will have a deep grounding in at least one of two foundational areas of musical theatre.